A protest over a man’s death in police custody ended in an arrest at a contentious meeting of National City’s City Council on Tuesday. Tasha Williamson, a community activist and friend of the family of Earl McNeil, was led away by officers after allegedly disrupting the council meeting. Williamson and other protesters had demanded the resignation of Police Chief Manuel Rodriguez. McNeil, who had a history of bi-polar disorder, went to the city’s police station on May 26 seeking help and ended up in a coma with severe brain damage. Police reported that McNeil was combative, agitated and paranoid, forcing them to put him into full-body restraints while transporting him to the county jail. Police Capt. Alex Hernandez said Williamson was arrested after exceeding her speaking time and refusing to stop, making it impossible to continue the meeting. 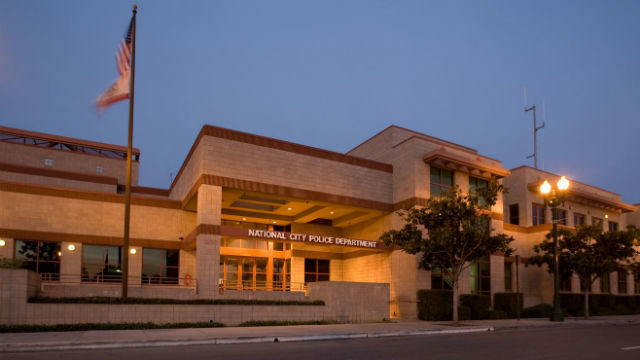 He said the department is still conducting an investigation into McNeil’s death and will review both police body camera video and a forthcoming toxicology report from the San Diego County Medical Examiner’s Office.